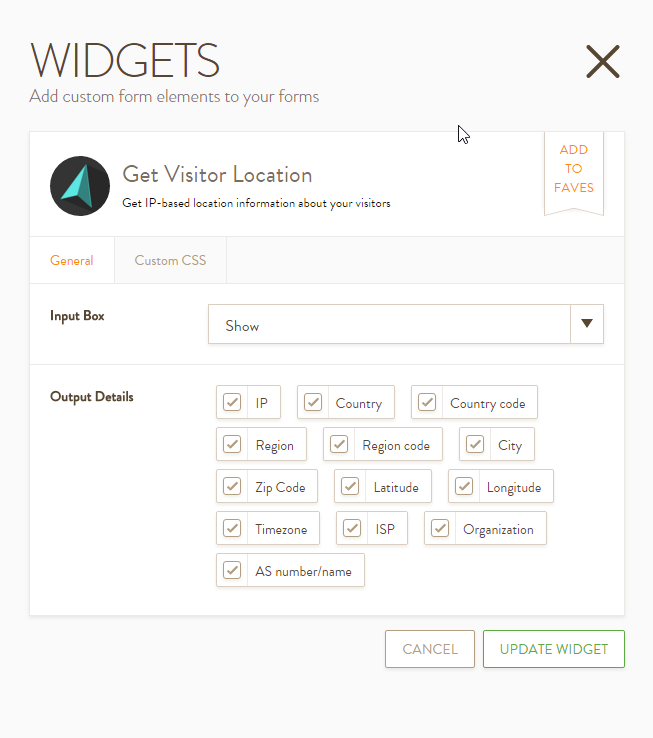 Widget "Get Visitor Location" doesn't work in new forms But in olds form all OK. In new forms it return blank result. Also I can't configure it like last time (to check checkboxes for IP, city and etc.). Apologies for the inconvenience, I was able to replicate the problem. Let me forward this to our developers to have it checked and fixed. We will update you on this thread as soon as this has been resolved. Please pardon the inconvenience caused - and let us know if you have any concerns.